Dr. Nelson Noggle, author of self-help therapy book, “Living beyond The Box”, aims to help individuals who are boxed in and thereby set them free from the emotional, physical, and mental damaging results of The Box through his website: www.livingbeyondthebox.com. 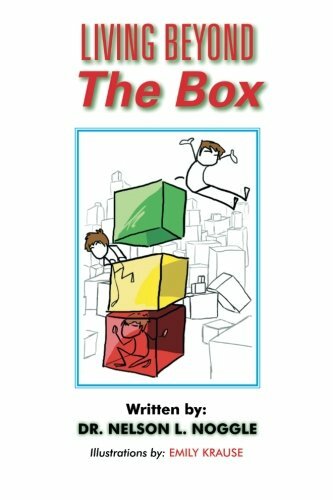 The author inculcates the concept of the box to raise awareness of it and thereby prevent readers from succumbing into the rules of The Box once they fall victim. Dr. Noggle’s book, “Living beyond The Box”, and blogs offer helpful tips for individuals to set themselves free if they are currently boxed-in or for individuals to help liberate others from their boxes. To know more about Dr. Nelson Noggle and his book, Living beyond The Box, visit his website and read his blogs. Dr. Nelson L. Noggle is a parent, educator, and researcher who has worked with hundreds of educational programs, schools, social agencies, and major businesses, as well as thousands of parents and counselors. He taught at the elementary, secondary and university levels. For the past 30 years, his focus has been on understanding how adults motivate children, youth and other adults, especially how they motivate them to learn. As a result, he founded the Centers for the Advancement of Educational Practices (CAEP), a small educational services firm dedicated to the continuous improvement of the methods that parents, educators, counselors, and managers or leaders use to bring about learning.